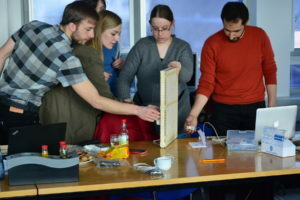 The 8th inventors workshop of GI-Fachgruppe “Begreifbare Interaktion” (German Informatics Society Workgroup on Tangible Interaction) took place on February 26-27, 2016 in Oldenburg, Germany. 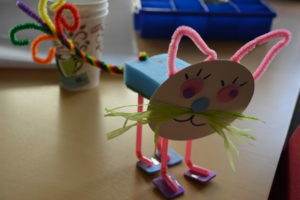 The 2 half days inventors workshop focused on tangible interaction for social and emotion communication. 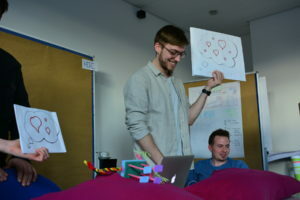 In the context of tangible interaction, the participants worked on systems that can convey information about presence, status, activity or mood between geographically separated groups users (e.g., work colleagues, family members, friends, pets). Such systems support the experience of and the immersion into the lives of others by exchanging emotions and activities. 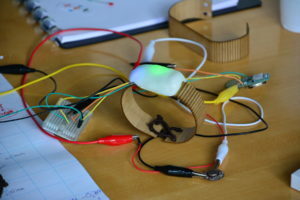 The resulting designs used multimodal, affective and pervasive human-technology interactions, to promote non-verbal interaction and explicit communication if required. 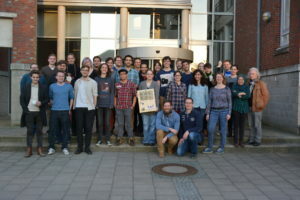 Dieser Eintrag wurde veröffentlicht in Erfinderworkshops von wallbaum. Permanenter Link des Eintrags.